PT Pos Logistik Indonesia - POSLOG or referred to as "POS Logistics" is a well-established logistic and supply chain company in Indonesia. POS Logistics running business in the field of transportation and warehousing services, delivery of cargo, and the regulated agent or dealer inspection. 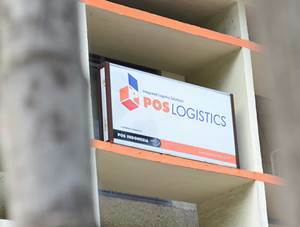 POS Logistics is a directly-owned subsidiary company of PT Pos Indonesia (Persero) or Pos Indonesia Group, the national postal company of Indonesia. POS Logistics was founded in 2004 and initially started as business project of Pos Indonesia Group. Later in 2007, the business project has developed into strategic business unit (SBU) of Pos Indonesia Group. In 2013, PT Pos Logistik Indonesia was officially established as an independent company. Based in Jakarta, POS Logistics now has 14 office networks and 37 warehouse spread across Indonesia. In term of financial performance, POS Logistics managed to record a total logistic revenue of Rp 437.30 billion in 2015. That number is up 45.61 percent year-on-year (Rp 300.32 billion in 2014). The Company's total net profit in 2015 amounted to Rp 2.68 billion or 27.37 percent down as compared with Rp 3.69 billion in 2014, according to PT Pos Indonesia (Persero) Annual Report 2015 as cited by JobsCDC.com. Minimum 3 years of experience in the field of HSE/K3L, especially in the field. Possess certification in AK3 Umum. Strong understanding of integrated management system ISO 9001, ISO 14001 and OHSAS 18001. Able to work underpressure and in a team. Manage the administration of employee data and HR costs recapitulation (outsourcing costs, the actual cost of RKAP SDM). Creating employment contract / extension of employment of employees at the staff level up to assistant manager. Register the finger print of each employee in the finger print machine. Supervise the cooperation contract term with the outsourcing vendor. Distribute and archive correspondence relating to Human Resources, such as letters Movements, Memorandum Department, KD HR and others to all employees. Filling all employee master data. JobsCDC.com now available on android device. Download now on Google Play here. Please be aware of recruitment fraud. The entire stage of this selection process is free of charge. PT Pos Logistik Indonesia - Staff, Supervisor Pos Indonesia Group February 2017 will never ask for fees or upfront payments for any purposes during the recruitment process such as transportation and accommodation.